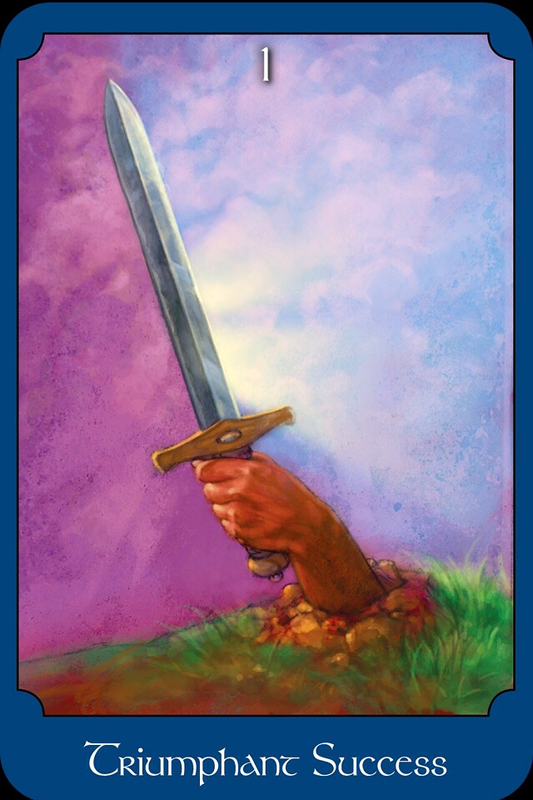 Card: Triumphant Success – from The Psychic Tarot Oracle Cards by John Holland. Message from the Faeries: Guess what?! This week is going to be awesome! Expect more than one success. Expect to the win that one battle. Expect to win that prize. Expect to hear some great news. Are you ready for it?! Things may have been a little rough lately. Maybe a bit challenging? Well, we can’t promise that there aren’t any more challenges, but you will have some relief this week, with some good things are coming your way. The sword in this card is your sword. You use it every day to win your small battles. It helps you cut through all the cords that hold you back. It assists you in keeping away people that bring you down. It protects you from all the unwanted things that try to enter your life. It’s your trusty sword that you keep beside you at all times. We want you to imagine yourself raising your sword in triumph. All your hard work has paid off. Take a breath and let out a victory cheer. Know that even if it doesn’t seem like it quite yet, things are going your way. Trust and know that all is well. You’ve taken all the steps you’ve needed to take. You’ve visualized your victory. You trusted and followed your intuition. You strategize do and carried out your plans. You listened to your heart. Now it is time receive your hard earned winnings. The question is: are you ready to receive? Use your sword wisely. Be sure not to block all the good things trying to enter your life, along with all undesired.